We are a well-known manufacturer of a highly reliable array of Cashew Boiler and Cutting Machines. These products are admired for their long service life and excellent resistance to damage. 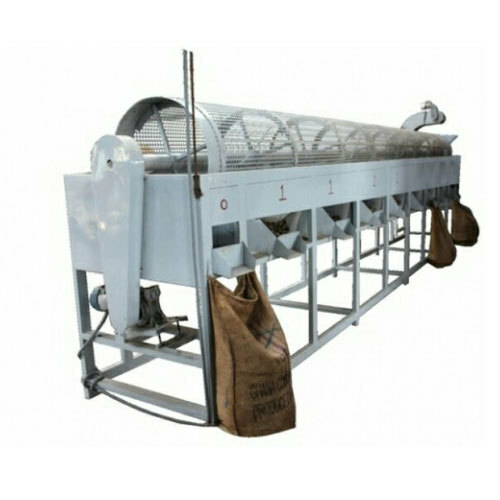 We have marked a distinct and dynamic position in the market by Manufacturing and Supplying wide gamut of Cashew Boiler, Two Blade Cutter Cashew Machine, Four Blade Cashew Cutting Machine, Cashew Dryer Machine, Cashew Scooping Line, Cashew Peeling Machine, Cashew Conveyor Belt and Elevator Bucket Belt. The offered systems are manufactured by making use of supreme grade components with the help of advanced techniques in compliance with set industry norms. Moreover, these systems are checked for their quality on series of quality parameters before being supplied to our clients.